Our old-world butcher services provide custom cuts of quality beef, and pork including hard-to-find items not available at any average store or specialty markets. We offer a full Boars Head deli menu with over two dozen salads made fresh daily. We will happily ground our premium roast coffee beans upon request. 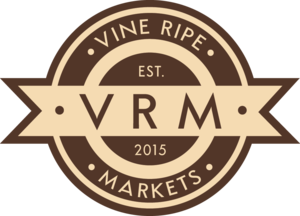 Don’t worry about carrying out your groceries, at Vine Ripe Markets, helping you with your groceries is just one of the extra services we are happy to offer you! Vine Ripe Markets also offers diverse catering options to fit every special occasion!